For the past decade or so we’ve been making our own Christmas cards. 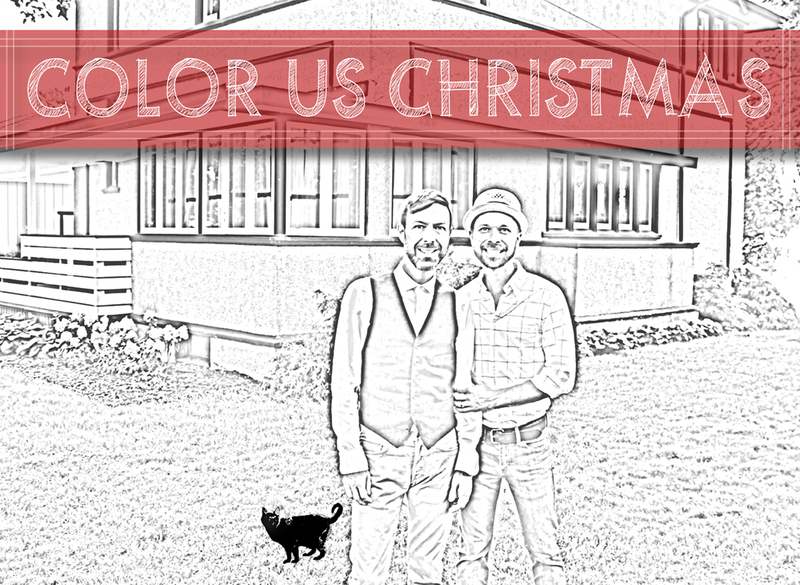 It’s our little way of creating something personal for the people on our Christmas card list. It’s also a way for us to release some pinned up creative energy. 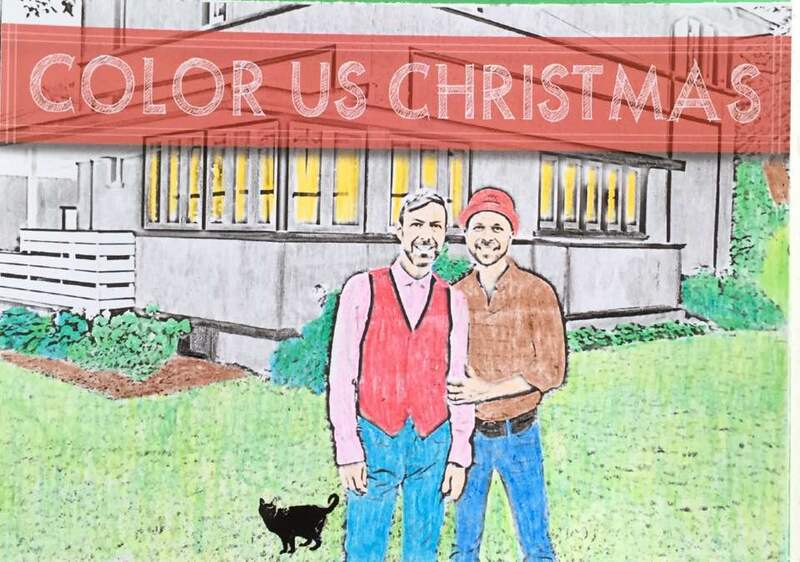 This year we jumped on the adult coloring book trend with our Christmas card. 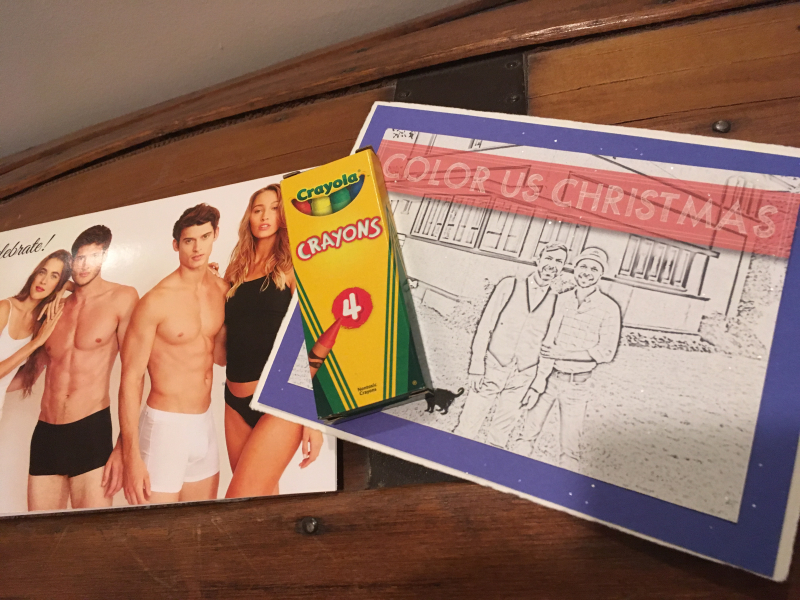 We even sent four-packs of crayons with our cards, as you can see in the snap below the jump from Matthew at Boy Culture. 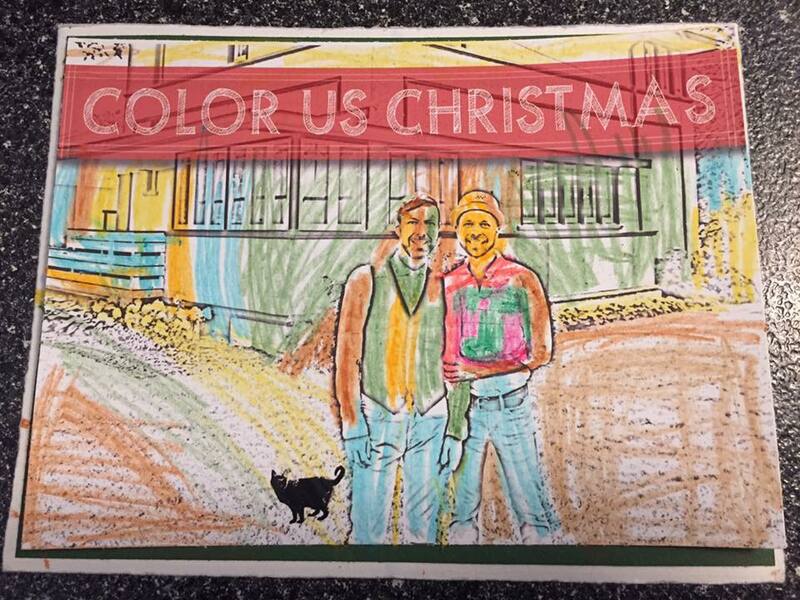 In the week between Christmas and New Year’s we’ve been getting messages with our “Color Us Christmas” cards all filled in. 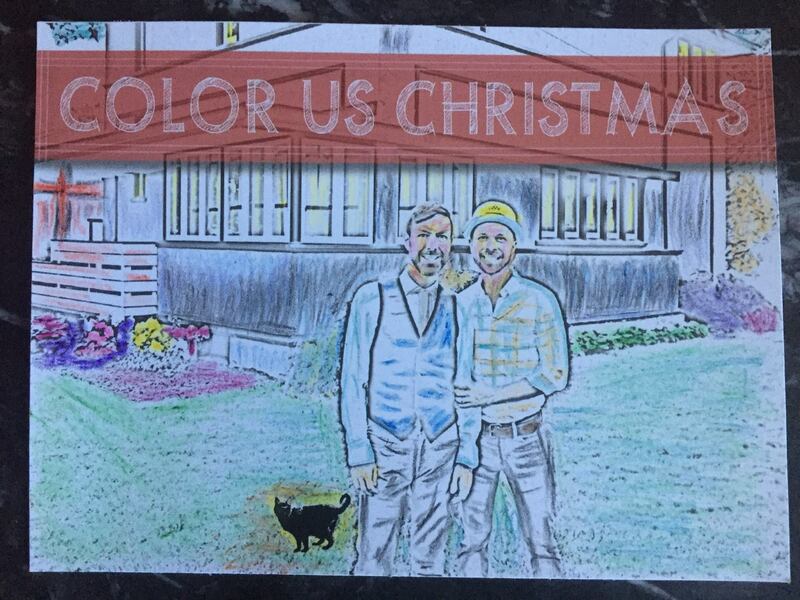 This card, for instance, we colored by former owners of our house. And this version came from a mutual friend of ours. The Mister’s young nephew turned out this coloful version of the card. These colored cards are exactly what we were hoping to achieve. In sending this card we hoped to inspire a little creativity and bring a little color to our loved one’s lives. We hope you all have a creative, colorful 2017! This entry was posted in holiday, Uncategorized on 01/01/2017 by Jason.